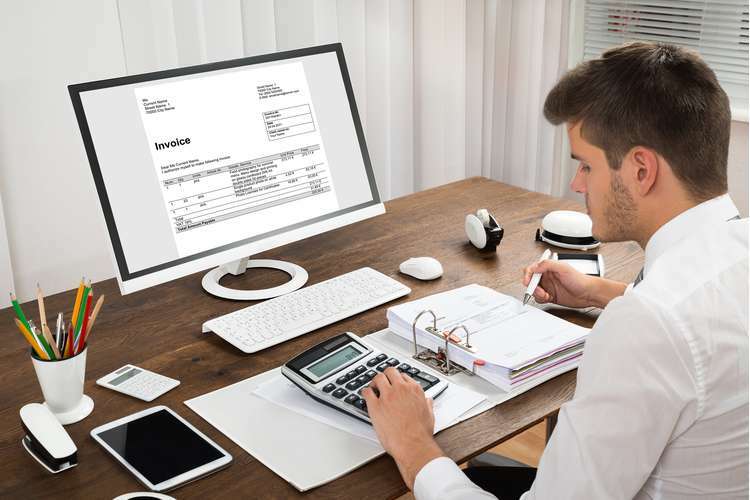 Computerized accounting is one of the fundamental areas that is invested highly in the business organization. Companies nowadays employ the use of Enterprise Resource Planning (ERP) to analyse and store all financial data. ERP has helped in faster analysis and generation of financial reports. This report on SAP S/4HANA outlines the importance and challenges of SAP software on business, user industry experience in using SAP software, whether it is user-friendly or not is described in the report. The companies using SAP software have considerable experience in providing real-time reports and global regulatory and compliance abilities across all languages. ERP software has helped the firms in closing monthly reports. The SAP software has brought a lot of changes in the business environments, and provide an added advantage on business firms over their competitors. This report on SAP S/4HANA contains a brief history of the software, that is, when and where it was launched and whether it is a multinational corporation. The significance of SAP S/4HANA in the business for examples, it promotes real-time reporting and secure data management. On the other hand, the challenges of implementing this application are outlined in the report. SAP S/4HANA is a business suite that was launched in February 2015 by SAP SE Multinational Corporation in Germany. This software is the fourth generation of SAP business enterprise resource planning. This software application has promoted the processing of vast volumes of business information in real time. The ERP system has been made simple and easy to use in data entry, storage, and processing of large amounts of transactional data. SAP has presented an opportunity for companies to reinvent their business models by utilizing the internet of things. SAP S/4HANA uses real-time processing of information; it doesn't require batch processing of data. The clients can receive their data in real time for simulation and execution of their data. SAP S/4HANA and SAP Fiori have interlinked together to provide user-friendly display functions that allow easy use of SAP in a variety of devices (Alves and Matos, 2011:pg4). SAP S/4HANA was previously referred to as SAP RF and was growing at a very high rate, however in the year 1992, SAP R3 was launched as an update of the SAP RF. In the year 2004 SAP ERP was launched which had more features and components that the business world required. The central enterprise component was also another name given to SAP ERP which was well received in the business world with many customers using it. SAP ERP gained popularity very fast which prompted the company to develop new modules as the technology was changing quickly (Arik, 2002:pg12). The system offered a variety of services. Due to the advancement in technology, the SAP Company produced another module in 2015. The SAP S/4HANA was launched as the most updated Enterprise Resource Planning of all time. This SAP S/4HANA has many up to date modules which helps in the running of the business. The primary objective of SAP S/4HANA is to run an enterprise resource planning which uses the memory available to be effective and easy to use. In 2016, 5,400 clients had already implemented the use of SAP S/4HANA. Due to the competition available in the market, SAP S/4HANA had to be reinvented to offer an added advantage over other competitors like Microsoft or Oracle. The simplifications of business processes have paved the way for live data to be accessed. Live data has enabled a secure method of producing real-time reports. There were many transactions and news involved with the previous versions of SAP ERP, but the new SAP S/4HANA reduced the number of reports and sales required. It integrated most of the processes into one making them compound to reduce the number of reports generated. The database storage is only exclusive to SAP software only, unlike the previous versions which supported databases form other companies. The use of only SAP database saves the cost of purchasing databases from other companies (Appiah and Mensah, 2014:pg36). SAP S/4HANA is divided into several modules which simplify the work of different departments of the business firm. The first module is the inventory management, this module of enterprise management give a simplified information model which helps in tracking inventory in the business firm. Inventory management outline what, when and how the stock is taken in the company. It simplifies the manual checking of stock. Procurement is another module of enterprise management in SAP, and it has increased the efficiency of the procurement officer in procuring and payment of the suppliers (Cherkaoui and Bighrissen, 2012:pg26). There is efficient management of what was purchased and the amount of the products. Reports from the procurement officer can easily be generated with the help of SAP. Material requirements planning and order management are modules of enterprise management in SAP S/4HANA. SAP FICO enables business firms to manage and organize all financial data and information by generating financial statements for reporting and analysis by the business management. It is divided into two units, SAP FI for Finance and SAP CO, which stands for SAP controlling. SAP S/4HANA is only one unit which supports only the finance option. SAP Finance (FI) helps in business financial reporting, that is generating of all the financial statements required by the company. It is also involved in the accounting department of the business firm. On the other hand, SAP Controlling (CO) is involved in the planning and monitoring of the company income and expenses. SAP FI and SAP CO were launched as different modules while SAP S/4HANA was launched as one module containing different units in it for processing and analyzing information. SAP FICO worked as different units combined, but SAP S/4HANA works as one unit (Boateng, 2016:pg89). The SAP FI modules include: account receivables unit, general ledger, accounts payable, asset accounting and fund management amongst other groups. The asset accounting module manages all the operations that are related to the organizational assets, that is, acquisition or disposal of an asset. The SAP CO units include the following: cost elements, profit analysis, and product costing. This unit is mostly used by the top management of the company in the analysis of profits and other related expenditure. The above arguments show that SAP FICO worked separately in producing several reports but in SAP S/4HANA all the units are integrated together to allow real-time analysis provision of reports. The reports will be easily generated because all the data required by the software for analysis is readily available in the same place (El Sayed, 2015:pg36). One of the significant elements of SAP S/4HANA is the SAP Fiori function which promotes user-friendliness of the software. This has enabled access to the software form desktop computers, mobiles devices or even laptops. SAP FICO does not have such feature in it. Even though it produces the same result, SAP S/4HANA is more user-friendly than SAP FICO. In November 2015, SAP S/4HANA introduced another business module called Materials Management and Operations, and this unit helps in the management of inventories and procurement of company's stock (Gunaawardana, 2015:pg84). In January 2018, human capital management was integrated by SAP S/4HANA as one of the new modules to manage the human resource, on the other hand, SAP, FICO has no recent update. 4HANA software has integrated its module into one whole software application which helps in faster analysis of data (Jacobs, 2007:pg74). SAP S/4HANA have brought a lot of profits into the business world, and the enterprise resource planning has changed how business data is being processed. Both financial and managerial accounting has been combined for secure and faster processing of information. Real-time processing of data has led to the availability of crucial information for decision making (Nunes and Peng, 2007:pg47). The SAP S/4HANA has sped up the process of decision making by the top management for proper running of the business organization. Because of SAP S/4HANA, there is a universal journal entry which has led to the easy reconciliation of financial transaction. For example, a manufacturing company in the Netherlands, LyondellBasell, used this software in making the decision. On June 2015, during a board meeting, some financial statements were lost, and the board had demanded them. Due to the availability of this software, the finance officer was able to process the same information within a quick time and submitted the same to the board. Therefore SAP S/4HANA has helped companies in processing data in real time and accurately (Kholeif and Sherer, 2008:pg68). SAP has been working for years to solve Complex Information Technology and business problems in the business platform. The launch of SAP S/4HANA has brought a significant change in the operational and transactional processes of the business. The business environment is evolving rapidly with technological trends in cyber security and cloud computing which has prompted the differences in ways of conducting business transactions. Business firms innovate how they do their operations to cope with the changing business environments. SAP recognized the gap in the global business and developed a digital framework which helps their clients do business in a more safe and secure environment. SAP has promoted their clients to do transactions in a digital way whereby there are easy storage and analysis of business data (Kittiwake, 2011:pg20). Efficient reporting is another benefit of using SAP S/4HANA. The accuracy of the financial report is one of the most critical parts of the business. The database table has all the data that allows the software to compute and provide accurate reports in real-time. There is no data replication because it is being processed in real-time and therefore there is no requirement for batch processing. Due to the accuracy and availability of financial reports, the business can enjoy faster financial closing. The closing of financial; periods, e.g., Annually, semi-annually, quarterly or even monthly, it has been made easy, and the finance officer can close the period with ease. Statement of comprehensive income and that of the financial position that is required in decision making is readily available (Mabert and Venkataramanan, 2003:pg63). The use of asset accounting module efficiently manages Acquisition, depreciation, and disposal of assets without the confusion of the company day to day business. Liquidity management component has replaced the cash management. A business firm can manage short-term cash positions and ensures that there is no or little theft of company’s cash. In the recent year, most companies lost a lot of cash due to theft by the employees, but with SAP S/4HANA all the liquid can be traced to the person who withdrew the money. This software promotes faster tracking of the money; hence there is no loss for the business (Mayere and Bazet, 2008:pg53). Ego pharmaceutical company in Australia lost millions of dollars before integrating SAP S/4HANA. The employees were able to sell the drugs for their benefit without the company's knowledge. They used the back door in selling the stock because the company was not in a position to trace their share. When SAP S/4HANA was applied in the management of the financial sector in the company, there were no losses experienced since then. Inventory management has helped the company trace their stock without losses. The flexibility of SAP S/4HANA in the business world is a significant improvement in the company's system. Finance officer can get the financial reports faster without the lengthy, time-consuming reconciliations. The software generates both financial and managerial statements in a way that it saves time. During an emergency meeting, the reports can easily be generated from the system without any constraints. The use of Fiori has improved the user interface and promoted user productivity. The software is flexible in that there is a simple, easy way to use an analytical function to produce financial statements. User productivity and the flexibility of SAP S/4HANA has led to increasing profits in the organization (Davey and Moussi, 2001:pg87). Cost saving is one of the most critical parts of any business firm, most of the businesses are focused on reducing the cost of production and the expenses of the company. The companies nowadays spent a lot of money on software productions IT strategy. With the implementation of SAP S/4HANA, a company can save cost because it optimizes data volumes and removes the overlapping of data (Nwanyanwu, 2012:pg112). Operating and infrastructure costs can be cut down by the use of SAP S/4HANA because its operation is in a way that it saves cost. An adoption plan for implementing SAP S/4HANA can be quite difficult despite the flexibility part of SAP. The process of choosing SAP product, to begin with, is very complicated. The reason for the company's challenging move to switch SAP S/4HANA is a massive investment in enterprise resource planning implementation. The existing database management system, e.g., a structured query language server and therefore they have to switch to 4HANA. The decision of which process should be run on the SAP S/4HANA and which transaction should be run differently is a challenge for the top management. One of the significant challenges of migrating to SAP S/4HANA is the cost involved, and it is quite expensive to install and maintain the software. The functionalities of the system is also a significant concern because a lot of clients are not conversant with the use of SAP S/4HANA enterprise resource planning. Companies are also concerned with the number of resources they will need to run the software, and this is regarding human resource and the availability of the required hardware. Despite the benefits involved with SAP S/4HANA, there are challenges involved in the installation and use of SAP S/4HANA (Pattanayak, 2012:pg35). CenturyLink Telecommunication Company migrated to SAP S/4HANA ERP in the year 2017. This company based in the United States offers IT services including, internet connectivity, and computer hardware and cyber security services among others. The company integrated SAP S/4HANA, but it encountered difficulties during the implementation of the software. Conversion means that the company had to redesign the business process involved with their clients because of the changes in the interface. The company was unable to do business for close to two months because of the redesigning process, and the clients were not familiar with the SAP S/4HANA framework. The company had large volumes of data which it was hard to transfer the data to the new 4HANA. The original clients and vendors were replicated into the master data before the installation of SAP S/4HANA enterprise resource planning (Patra and Nath, 2016:pg69). The Protective life insurance in the United States is another company that migrated to SAP S/4HANA. They implemented the use of SAP S/4HANA recently, but despite the success of the software the company had gone through difficulty during the installation of the SAP S/4HANA software. Data inconsistency nearly caused them to lose data during data transfer. The protective life insurance had made inconsistent updates which costed the insurance company. The company had made direct updates to the database which is very uncommon, and the updates are usually made consistently via the database interface. Despite the data inconsistency of the insurance company, it was able to recover all the data it needed. Financial data migration should be done carefully because any alteration of the data can lead to the loss of valuable information by the company. Data inconsistency is one of the major challenges involved in the migration of SAP S/4HANA (Wieder and Ossimitz, 2006:pg214). The functionality changes is another challenge that is involved in the installation of SAP S/4HANA software. The SAP ERP used classic cash in the analysis of cash inflow and cash outflow, but in SAP S/4HANA ERP cash management module is in operational in place of classic payment. This brings a lot of changes in the process of analyzing the income and expenses of the company. The company has to transfer the old credit management master data to the new cash management module. For example, in 2016 Fairfax media in Australia was able to adopt the new changes in financial reporting. Their cash inflow and outflow were integrated into the new SAP S/4HANA software whereby the board implemented it without any difficulty. In most companies, the changes in functionality usually bring out several challenges in the implementation stage, but with Fairfax media, it was able to handle the data functionality properly (Subba, 2000:pg87). The architecture of SAP S/4HANA is quite complicated and require a lot of modules to be installed and activated for the software to work well. Fiori, gateway and HANA studio is one of the few components that need to be installed for the proper functioning of the SAP S/4HANA (Mirshekary and Yaftian, 2017:pg330). For example, in 2013, the Oroton group has implemented the use of SAP S/4HANA software to improve their customer satisfaction. The application Programming interface is one of the updates made by the Oroton Group limited to customize their products for their clients. During the architecture programming, the company nearly lost their data because the ERP they were using was entirely obsolete the architecture definitions is usually done before the installation of the SAP S/4HANA application (Horn and Brown, 2002:pg51). In conclusion, computerized accounting is a fundamental requirement in the global business transactions. The companies that have adopted the use of SAP S/4HANA in doing their day to day business transaction have an added advantage over their competitors. Faster forecasting and planning, quick report analysis, real-time analysis are amongst the benefits of SAP S/4HANA software. However, data inconsistency during data transfer is some of the challenges associated with the implementation of SAP S/4HANA. The problems can be avoided by promoting a careful transfer of data and preventing unrequired updates of the software. The integrity of the data can be checked by keeping the master database without any alteration of data. For a company to become a successful digital business, a proper data management strategy needs to be installed to provide a competitive advantage over their rivals. The architecture of SAP S/4HANA has many modules and components that allow real-time generation of financial reports with efficiency and accuracy. 1. Alves, M.C.G. and Matos, S.I.A., 2011. An investigation into the Use of ERP Systems in the Public Sector. Journal of Enterprise Resource Planning Studies, 2011, pp.1-5. 2. Ragowsky, T.M.S., 2002. Enterprise resource planning. Journal of Management Information Systems, 19(1), pp.11-15. 3. Appiah, K.O., Agyemang, F., Agyei, Y.F.R., Nketiah, S., and Mensah, B.J., 2014. Computerized Accounting Information Systems: Lessons in State-Owned Enterprise in Developing Economies. Journal of Finance and Management in Public Services, 12(1). 4. Bighrissen, B. and Cherkaoui, C., 2012. Towards the Success of ERP Systems: Case Study in Two Moroccan Companies. Journal of Enterprise Resource Planning Studies, 2012, p.1. 5. Boateng, A.A., 2016. The effect of computerization on record–keeping at Offinso Rural Bank (Doctoral dissertation). 6. El-Sayed, H. and Youssef, M.A.E.A., 2015. “Modes of mediation” for conceptualizing how different roles for accountants are made present. Qualitative Research in Accounting & Management, 12(3), pp.202-229. 7. Gunawardana, K., 2015. An Empirical Investigation of the Computerised Accounting Information Systems Frauds in Licensed Banks in Sri Lanka. 8. Jacobs, F.R., 2007. Enterprise resource planning (ERP)—A brief history. Journal of Operations Management, 25(2), pp.357-363. 9. Kholeif, A.O., Abdel-Kader, M.G. and Sherer, M.J., 2008. ERP vs. Custom Software and Change (Transformation) and Stability (Continuity) in Management Accounting Rules and Routines. In Enterprise Resource Planning (pp. 135-188). Palgrave Macmillan, London. 10. Kittiwake .H. 2011. Enterprise resource planning. Pearson Ltd. London. 11. Mabert, V.A., Soni, A. and Venkataramanan, M.A., 2003. The impact of organization size on enterprise resource planning (ERP) implementations in the US manufacturing sector. Omega, 31(3), pp.235-246. 12. Mayere, A. and Bazet, I., 2008. ERP implementation: the question of global control versus local efficiency. In ERP Systems and Organisational Change (pp. 47-58). Springer, London. 13. Moussi, C. and Davey, B., 2001. A continuum of electronic commerce maturity-from buying a computer to business transformation. ACIS 2001 Proceedings, p.37. 14. Nwanyanwu, L.A., 2012. Information and Communication Technology (ICT) and Accounting Practice in Nigeria: An Empirical Investigation. 15. Pattanayak, A., 2017. SAP S/4HANA Embedded Analytics: An Overview. Journal of Computer and Communications, 5(09), p.1. Berlin. 16. Patra, S. and Nath, S.C., 2016. Effectiveness of Computerised System for Small and Medium Enterprises in Odisha. Small Enterprises Development, Management & Extension (Sedme) Journal, 41(3). 17. Peng, G.C.A. and Nunes, M.B., 2007. A risk ontology for ERP post-implementation. 18. Pulakanam, V. and Suraweera, T., 2010. Implementing accounting software in small businesses in New Zealand: An exploratory investigation. Accountancy Business and the Public Interest, 9(64), pp.98-124. 19. Rosemann, M. and Wiese, J., 1999, December. Measuring the performance of ERP software–a balanced scorecard approach. In Proceedings of the 10th Australasian Conference on Information Systems (Vol. 3). Wellington. 20. Subba Rao, S., 2000. Enterprise resource planning: business needs and technologies. Industrial Management & Data Systems, 100(2), pp.81-88. 22. Stratman, J.K., and Roth, A.V., 2002. Enterprise resource planning (ERP) competence constructs: two?stage multi?item scale development and validation. Decision Sciences, 33(4), pp.601-628. 23. Umble, E.J., Haft, R.R. and Umble, M.M., 2003. Enterprise resource planning: Implementation procedures and critical success factors. European journal of operational research, 146(2), pp.241-257. 24. Wagner, B. and Monk, E., 2008. Enterprise resource planning. Cengage Learning. 25. Wieder, B., Booth, P., Matolcsy, Z.P. and Ossimitz, M.L., 2006. The impact of ERP systems on firm and business process performance. Journal of Enterprise Information Management, 19(1), pp.13-29. 26. Yaftian, A., Mirshekary, S. and Mihret, D.G., 2017. Learning commercial computerized accounting programmes: Perceptions and motivations. Accounting Research Journal, 30(3), Pearson Ltd. London. Pp.312-332. 27. Xu, H., Horn Nord, J., Brown, N. and Daryl Nord, G., 2002. Data quality issues in implementing an ERP. Industrial Management & Data Systems, 102(1), pp.47-58. 28. Zaman, M. and Gadenne, D., 2002. A model for best financial and cost accounting practices in SMEs: An exploratory study. Small Enterprise Research, 10(1), pp.15-31.